Welcome to the new year! It's 2014, a good year for reading cozy mystery books. Join us here at Killer Characters all year for great new mysteries and giveaways! I read That Old Flame of Mine, a couple months ago and really enjoyed it. 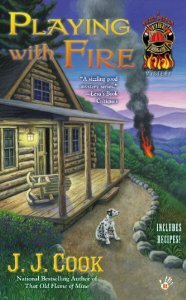 Looking forward to reading more of the Fire Brigade mysteries. Happy New Year! looking forward to reading all of them. Happy New Year! Both are on my TBR list. Thanks for writing fun books for us to enjoy. These books look like they would be a great read! I am totally a person who judges a book by the cover. 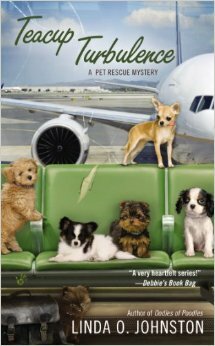 Teacup Turbulence has the perfect cover and would definitely be one I bought automatically! Added to my reading list! !